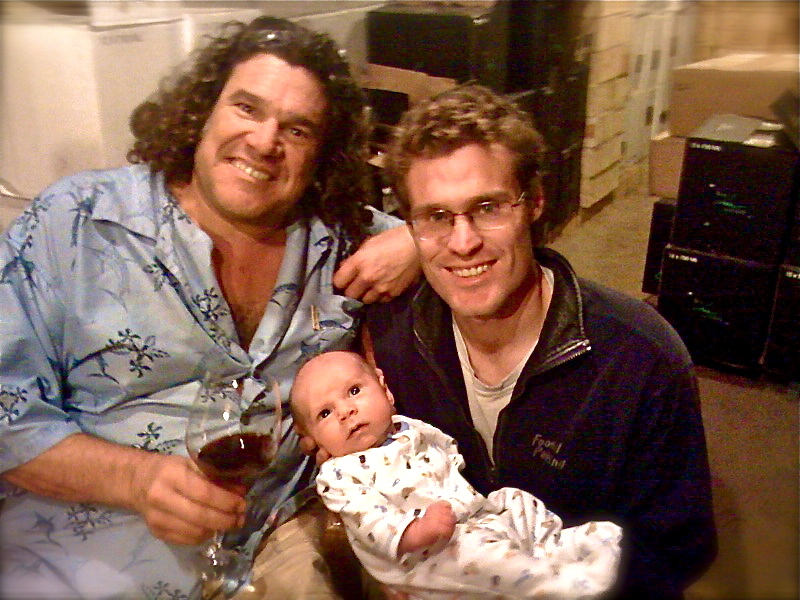 Grapelive Lastest: Pisnoi Releases New Lucia Pinots & New Baby! Along with this wonderful announcement comes word that the Pisoni’s are releasing their Lucia Pinot Noirs this month, along with the Lucy rose and the amazing estate Chardonnay! Winemaker Notes: Darker garnet red. The very expressive aromatics display intense purity. Fresh-cut flowers, blackberries, allspice and forest floor notes entice the taster. On the palate, the wine has great density and complexity of flavors. The ripe tannins are supple, and they unfold in layers with nice acidity for a very long finish. Winemakers Notes: Dark ruby red in color. The nose offers a vibrant display of wild strawberry, ripe pomegranate, bing cherry and baking spices. As with all the 2007 Pinot Noirs, there is incredible concentration on the palate. The tannins are rich with notes of clove and sage coming through on the end. 2007 Lucia Chardonnay, Santa Lucia Highlands. Winemaker Notes: Light straw, greenish gold in appearance, the 2007 Chardonnay may be our finest bottling to date. The aromatics display a very alluring blend of ripe pineapple, lemon meringue, citrus oil and wet stones. The texture is rich with slight oak undertones, but the acidity maintains a light freshness throughout the long finish. 2008 Lucy Rosé of Pinot Noir, Santa Lucia Highlands. Winemaker Notes: Light pink in color, the 2008 Lucy is a very flavorful rosé. An immediate perfume of strawberries, rose petals, white peaches and fresh-cut watermelon fills the glass. On the palate, the texture is very mouth coating. Layers of flavor evolve into a more delicate finish, framed by crisp acidity.